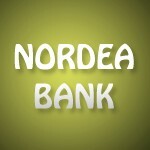 Criminal complaint due to be filed on Friday 7/10/2011, for false advertising and swindle by deceipt, on behalf of a private client, against the employees of Nordea, directly and indirectly responsible, of the alleged criminal actions. The ERVA agrees to join the action on a private prosecution capacity. This is good news indeed these banks and in particular Nordea should take notice that the Equity Release Victims Association is here to help all people who have been defrauded no matter which bank is resposible. Hi Mr Flores and everyone ! !